VIGO was the first bit of cardboard cat furniture I bought. 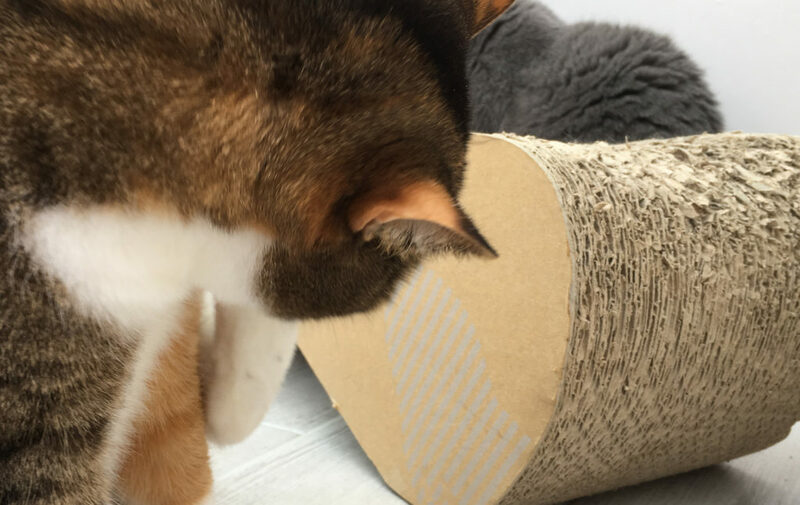 The MyKotty VIGO scratcher is, for me, one of the best heavy duty cat scratchers available. It is designed for the toughest tasks like scratching, jumping, playing and fun with more than one buddy at the same time. Based in Poland, MyKotty creates handmade cat furniture that really wouldn’t look out of place in a design museum. The products they produce are extremely well designed and constructed to the highest standards. 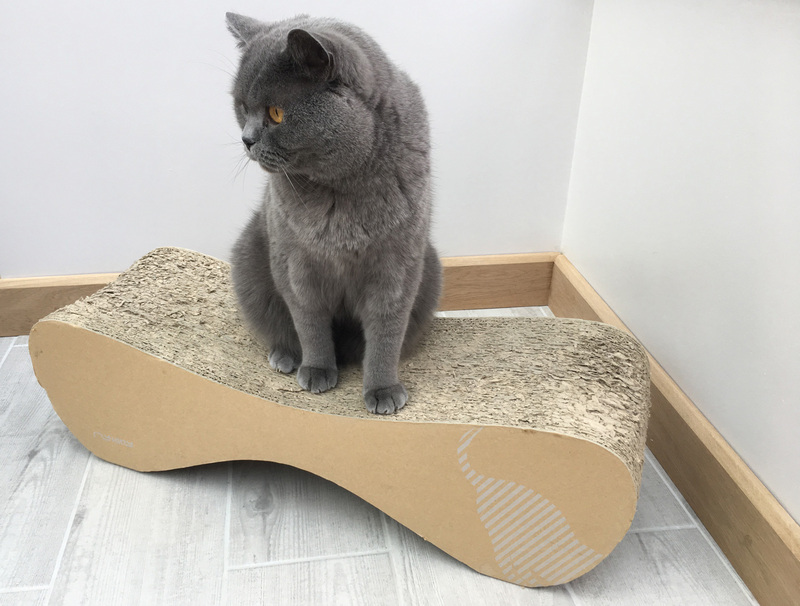 VIGO is part of their cat scratcher range. It is a piece of multifunctional furniture for cats. The VIGO in my living room is now over two years old, and despite daily use, it still looks great. The smart design and cardboard structure make it extremely strong. A 19 stone man can stand on the VIGO, in fact, I often use it as a step when I can’t reach an item in the kitchen cupboards! A truly versatile and multi-functional piece of cat furniture. When some friends visited recently and noticed the VIGO, they remarked how it was nicer than some of the furniture in their house. This item is quite large and does take up quite a bit of space, so it needs an average size room ideally. Overall I would 100% recommend this product to any cat owner. The price is excellent value for money due to its longevity. It has outlasted even the most expensive high street scratch posts. I bought my VIGO from a UK supplier, but I have bought other MyKotty products direct from their website with no issues. Buy your VIGO online today direct from MyKotty. Mariusz was extremely helpful when replying to my enquiry about a product over the Christmas period.